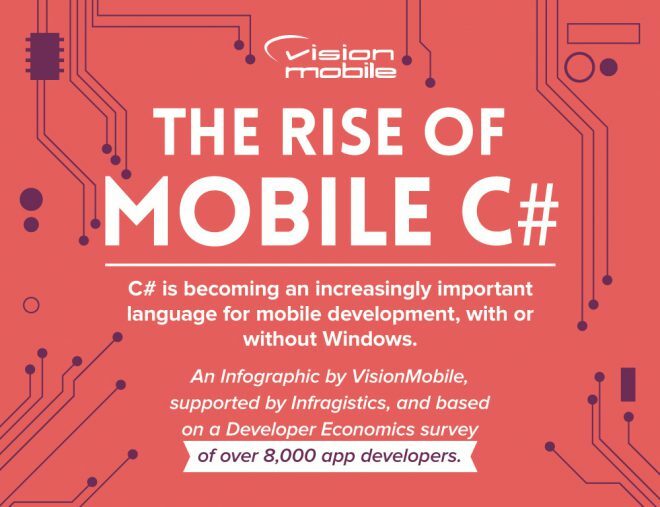 Whilst 30% of all developers in the survey were targeting Windows Phone, that doesn’t quite account for the majority of those whose main language is C#. Also, [tweetable]more than half of the developers targeting Windows Phone are Hobbyists and Explorers[/tweetable] – i.e. those not working on mobile apps full time. If we focus on full time professional mobile developers, as we will for the rest of this article, then just 50% of those that use C# as their main language are primarily targeting Microsoft platforms. Apple’s iOS (with 23% of developers) and Google’s Android (14%) are in fact more popular targets than Windows 8 (10%). So, how do developers use C# on other platforms? With cross-platform tools, particularly Unity and Xamarin.